For those hard to reach faucets, this heavy duty gooseneck adapter has a shut-off valve. Curved design allows for easy access. Use at the faucet connection, or even at the end of a sprinkler, to adjust flow control. The leak-free ball valve allows you to adjust the flow, whether you want it off, just a trickle, or full flow. 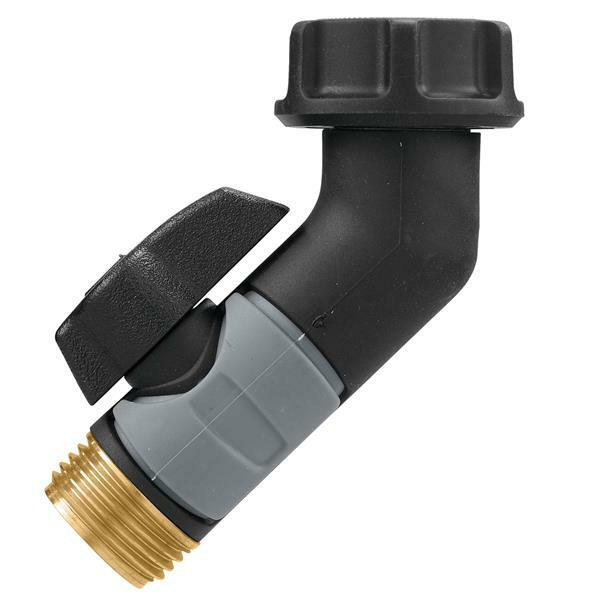 A swivel hose connection ensures easy installation while durable brass construction provides years of use.